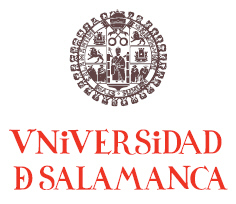 Horus is incorporated into the Science Park of the University of Salamanca. This morning, in the Hall of Portraits of the Rector of the University of Salamanca, has been subscribed a collaboration agreement, signed for the Vice President for Research and CEO of the Science Park, M ª Ángeles Serrano, the manager of the Science Park, José Miguel Sánchez Llorente, and the manager of our company, Rodrigo Málaga Tello. Horus will be installed on the first floor of Building M3, which will mean the opening of a new office within our growth strategy. The building M3, the largest in the park, is completing its business dependencies with companies with clear focus on the promotion of R & D as a complement to others that have looked at the facilities of the Science Park Foundation, synergies produced by the union of companies with similar interests under the cover and the seal of the University. With this new momentum we hope to achieve a greater presence of our company in Castilla y León, since we have several R & D projects located in this community. The activities to be developed in this new offices will be at first focused on the implementation of projects related to the application of new technologies to the hospital and healthcare environment. We thank the University of Salamanca and the Science Park the great welcome and support they have given us and hope to meet the goals we have set. Below we leave some links about this news article in the media.